Located centrally in Old Oakland and directly across the bridge from San Fransisco, exhibiting in Oakland is a dream come true for most businesses! Our trade show displays can help set your business apart whether you're in tech, product, or manufacturing while exhibiting in Oakland. Spend your downtime exploring the rich scene in Old Oakland and Uptown, to see all the city has to offer! 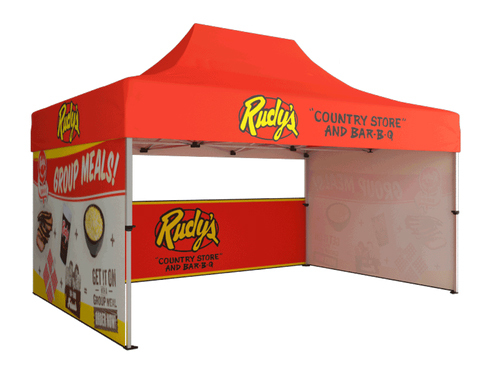 By exploring various portable exhibits, portable trade show displays, pop up displays, 10 x 10 trade show booths, and retractable banner stands, you can convert sales more effectively. Where is the Oakland Convention Center Located? The Oakland Convention Center is located at 550 10th St, Oakland, CA 94607. The Oakland Convention Center is in the heard of downtown Oakland and just minutes away from San Fransisco. Why invest in a trade show booth? Trade show exhibits offer a wide array of benefits. By presenting at a trade show, it gives you visibility and credibility. Simply being at a particular industry’s trade show identifies that you are a reputable brand and partner. It also provides you with an incredible platform to meet new, prospective customers. Many brands forgo exhibiting due to the cost of a trade show. It can be expensive to develop a trade show exhibit, trained staff members, and travel to the event. However, it is worthy of the investment because of what it can do to your brand. You should always have goals when setting up at a trade show. You may want to meet new people, get names and email addresses for mailing list, or close sales. Your business objective and the product/service you are promoting will establish the type of trade show booth you should have in order to deliver the highest ROI. The designs and the booth you get for your trade show will have an impact on your presence. It will also determine the type of response you get from prospective customers. You want to make sure to get a flood of prospective and existing customers at your trade show booth. The best way to achieve this is to build hype prior to the start of the trade show. Various hype campaigns can be created weeks before the trade show. This includes utilizing industry platforms as well as social media. When you build enough momentum and anticipation, you can guarantee traffic at your booth. By taking the time to choose the trade show booth and design carefully, you can accommodate the various types of customers you will see.